The conceit of Victoria is not contained so much in its plot, but in its execution; it is filmed in its entirety as one rolling shot where the camera never leaves the side of its protagonist and is told in real time. This makes for a pseudo-documentary feel that enhances the realism of the story, but also throws into sharp relief some of the inconsistencies in the plot. Would a young girl alone in a big city really choose to befriend a group of drunken young men as they are forcibly ejected from a club, attempt to steal nearby cars and start brawls on passing strangers? Implausible enough, but within an hour of meeting them, she is volunteering to help them perform an armed robbery! The opening act is also little more than a handful of mildly irritating people drunkenly flirting, which goes on for far too long - although once the thriller aspect of the story finally gets going, it is a taut and gripping affair. 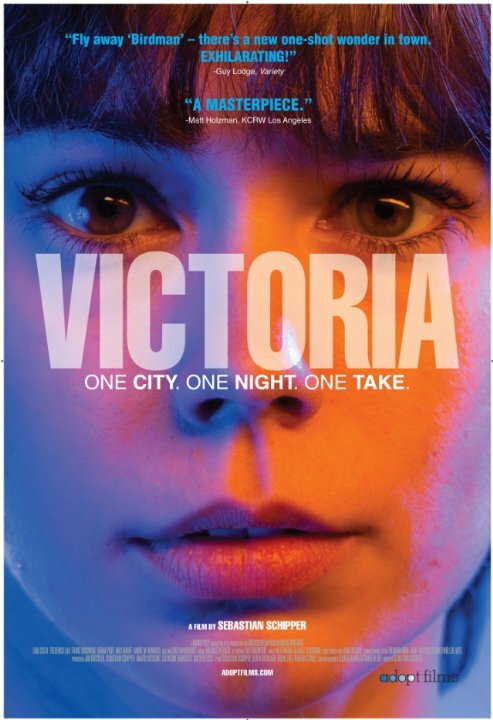 Victoria is convincingly acted and certainly a technical achievement, but its adherence to visual realism served only to remind me that the plot hinged on too many contrivances that did not stand up to logical scrutiny. Not a bad little thriller, but its strengths are too often compromised by sloppy script-writing.